For Vibes. Jazz/RandB. Includes a high-quality printed method book and a compact disc containing a complete performance with soloist; then a second version with the accompaniment, minus you, the soloist. Published by Music Minus One. 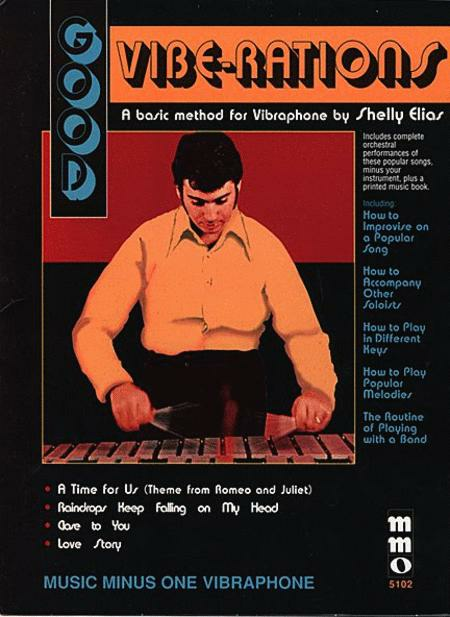 This basic method for the Vibraphone is geared toward playing with full pop ensembles. You will learn hot wo improvise on a popular song; how to accompany other soloists; how to play in different keys; how to play popular melodies; and the routine of playing with a band. This album concludes with four great popular classics with full band/orchestra accompaniments, in both simplified and advanced arrangements Soloist: Shelly Elias, vibes. Ensemble: The Shelly Elias Quintet: Mike Abene, piano; Bob Rose, guitar; Kenny Smith, bass; Joe Hunt(drums.